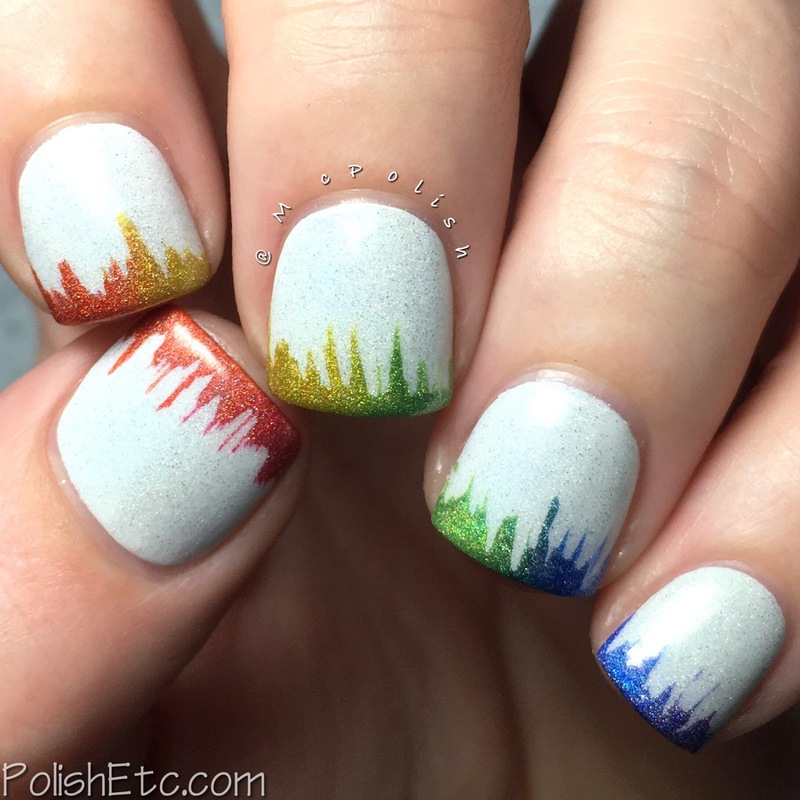 Rainbow Nails for the #31DC2016Weekly - Polish Etc. First, I started off with a white base. I used OPI "My Boyfriend Scale Walls" which is my favorite almost white base. Once that was dried, I used Crystalline Nail Veil from Color4Nails to create a waterfall from my cuticle to almost the tip of the nail. I learned this technique originally from The Nailasaurus and her waterfall tutorial with nail polish. About a year ago, I did this technique with liquid latex instead of polish and really loved the effect. You can see my photo tutorial here. Once the latex was dry, I used a cosmetic sponge and the Nine Zero Lacquer ROY G BIV Collection to create a holographic rainbow effect across the exposed tips of the nails. While the polish was still wet, I pulled off the latex to leave the feathered like edge. 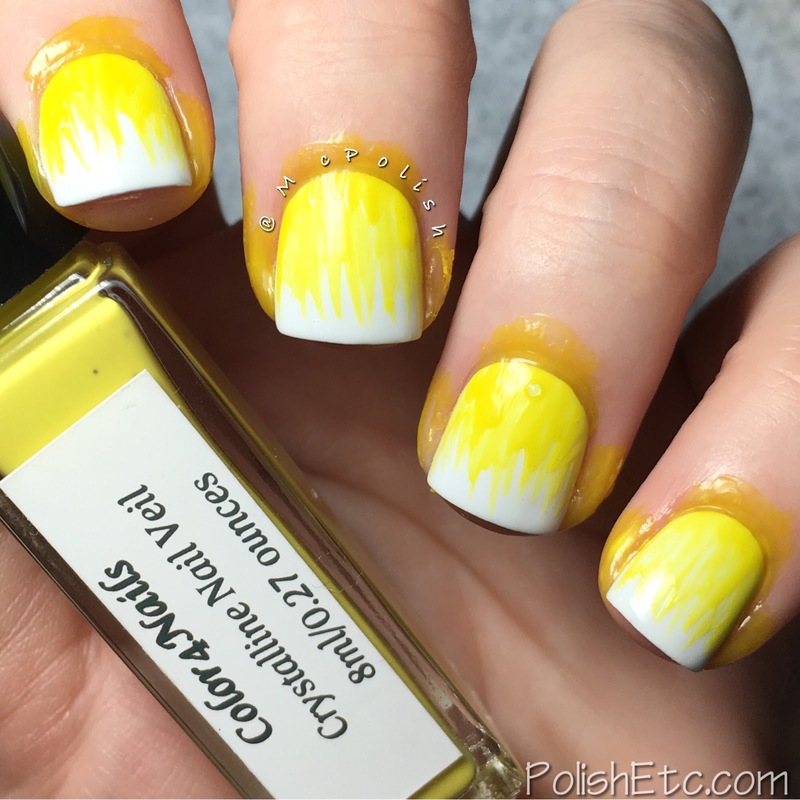 This effect turned out very similar to a recent nail art tutorial by Kelli Marissa just created in a different way. I am really happy with out it came out. I tried it with both a glossy top coat and a holographic top coat (both from Nine Zero Lacquer). I'm not sure which look I like best. Which do you prefer? I really liked how this turned out! 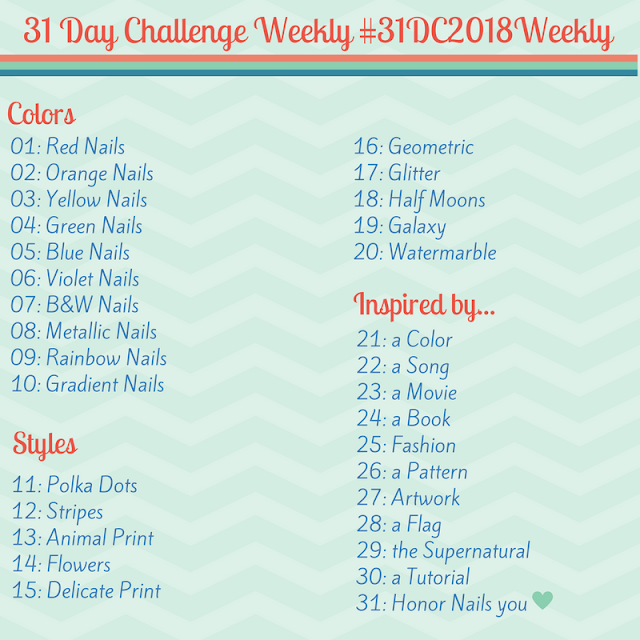 Be sure to check out all of the other nail art looks for this prompt and all of the others in this challenge but following the #31DC2016Weekly tag: Instagram, Twitter and Facebook. And please feel free to join me! You still have plenty of time to catch up. I really like this mani! 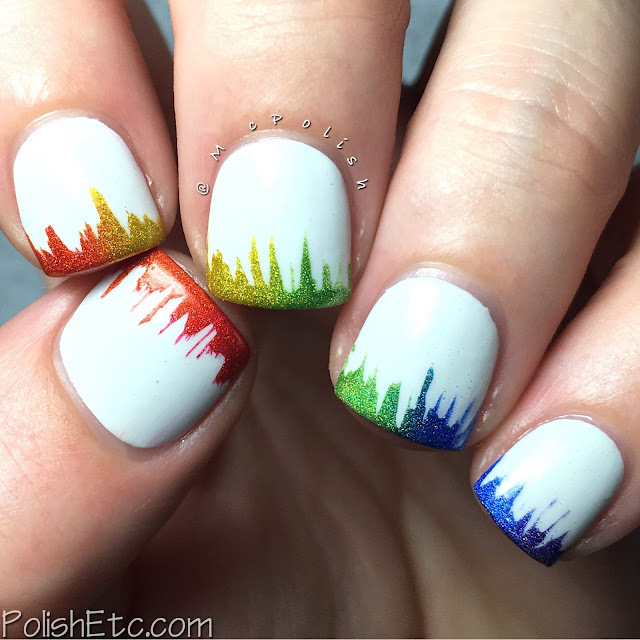 Using a gradient over the tips is a brilliant idea! I like the mani without the holo topcoat - I like how the jewel-toned polishes you used for the tips pop against the pure white. Love it! Love this look! So simple but so good.